Given that there are 6 billion people in the world, it makes perfect sense that somewhere out there, there’s probably someone that looks just like you. 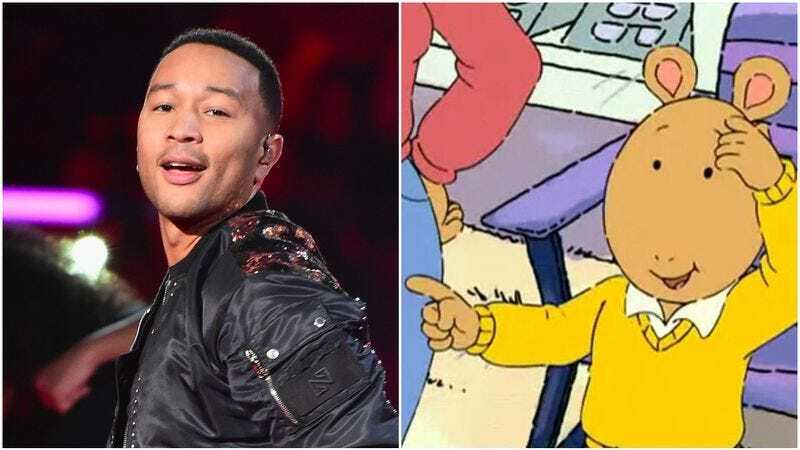 (Un)fortunately for John Legend, his doppelgänger just happens to be cartoon aardvark Arthur. On Monday, Twitter user Emily Sowah started pointing out visual similarities between the bedimpled Legend and his children’s book counterpart. Sowah believes the similarities are most striking when Arthur is without his big round glasses, though that’s probably just because we haven’t seen Legend in a similar pair of specs. Other Twitter users followed Sowah’s example, tweeting photos of Legend in various Arthur-like regalia. Fortunately for both Legend and his young daughter, Luna—who, it must be said, also looks a little bit like the very, very adorable aardvark herself—Arthur is available to stream on Amazon with a $4.99 a month PBS Kids subscription.